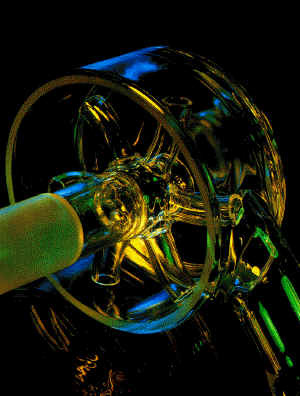 Manufacture of glass pumps is comparatively recent development. The pumps involve moving parts. Hence, more precision is required in the manufacture to minimize operational and maintenance problems. Out of development activities and experience of several years, we have developed the following types of pumps. They are available with glass body, glass impeller and PTFE backing plates with mechanical seal. The matting faces of the mechanical seal are generally glass filled Teflon and Ceramic. These pumps can be used for most of the compatible corrosives liquids up to 80 o C and working pressures of 2.0 kg/cm2. These pumps are available with flame proof or none flame proof motors. CAT. REF. 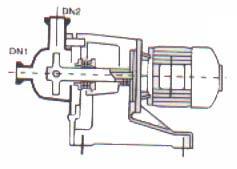 IMPELLERS MM DN1 DN2 SPEED RPM MOTOR H.P. The metering pumps are available in glass body and PTFE working parts. The accuracy of flow rate is 2% of the full range. Simplex and Duplex versions are also available. CAT. REF. 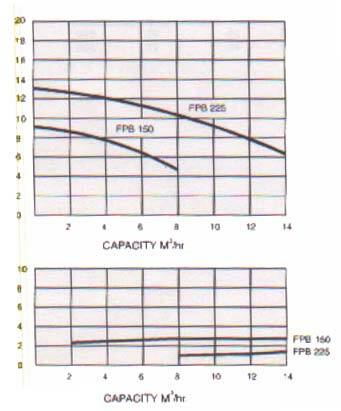 CAPACITY LPH MAX. HEAD M MOTOR H.P. 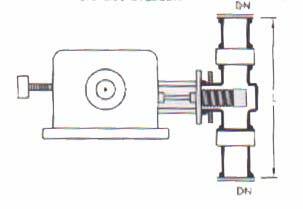 Another important area in fluid pumping is ejectors. We have developed single jet and multi - jet ejectors. They can be used for vaccum generation or as venture scrubbers. The advantage of these ejectors is there are no moving parts and hence no maintenance.